You, my friend, are confusing! I mean in terms of your actions. You’re all over the place! Carry out or perpetrate (a mistake, crime, or immoral act): “he committed an uncharacteristic error”. Isn’t it weird h0w one little word, “commit”, can point in two diametrically opposed directions? For Christians, to commit means either to 1) carry out a sin or 2) join a group opposed to sin. That’s just wacky! And the wackiest thing is I’ve seen you do both! Sometimes you’ll commit a sin, usually when you think nobody is looking. It’s as if you’re not in your right mind. You focus all your energy and effort into doing the very thing you know you shouldn’t be doing! Nothing makes me sadder than to see you enslaved to your passions, selfish desires, and so on. I wish you’d stop. I wish you would take all that energy and passion and focus it in the direction of the Kingdom! That’s something worth being committed too. Old Job had a rough go of things, but even so, he kept the right focus. Remember when he said this? I love that. Good for him. And what about you? You’ve got so much potential. So much to offer the world and the Kingdom. It’s so good having you committed, when you focus on Love and Compassion and Justice. I forgive you. I always will. can shape the definition of your whole life. It’s a mystery to me how it happens. But every year, millions of Easter eggs become Deviled eggs. And here’s the scary part: The transformation makes them MUCH TASTIER. Does it make me a bad person that this time of year I dream of downing a whole tray of those delicious temptations? 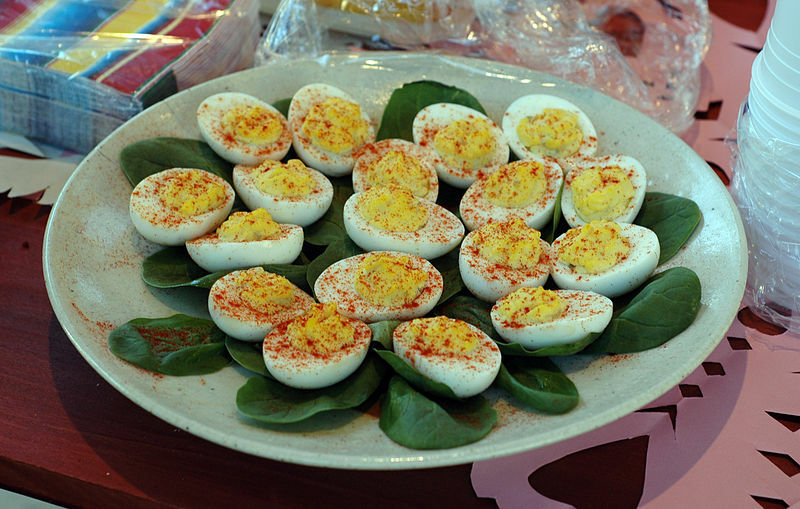 In the 19th century, deviled eggs were so named because of the process of turning ordinary eggs into something zesty. I guess putting some mustard and pepper in with the yolks added a little of the devil to them. So here’s my question. Why does Jesus’ holiday feature cold, dry boiled eggs, and the Devil gets credit for the SINGLE GREATEST POTLUCK DISH EVER CREATED??? I guess we have a tendency to equate self-denial and simplicity with God, and attach anything remotely indulgent to Satan. Well I’m done with that. As of this moment, I am RENAMING Deviled Eggs into Resurrection Eggs. Who’s with me? Send this to 30 of your closest friends! It’s a revolution! Tell you what. 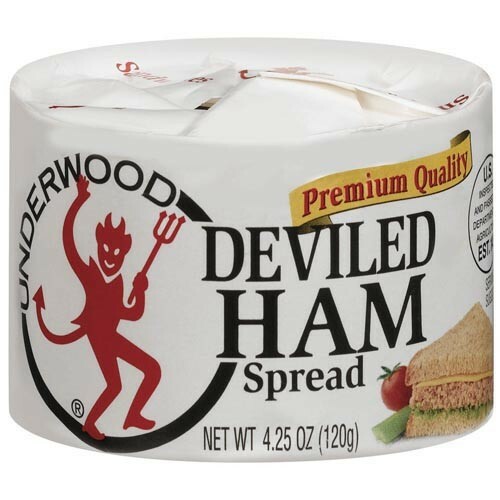 Instead of us worrying about the old-timey names or “sinfulness” of our favorite foods, let’s just THANK GOD for them! God, after all, did not send us his Son because he hated the world, but because he loved it. This life is meant to be enjoyed responsibly. That means you and I can sit down for a healthy feast of deviled eggs, deviled ham, and devils food cake, if we want. The devil didn’t make us do it.